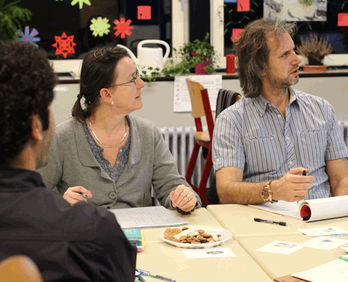 This course is meant for intermediate learners of Dutch who have completed A2 or would like to build up on equivalent language skills. The combined basic and follow-up training will reach and extend level B1.1 and prepare for the following course Dutch B1.2. The course will take place from January 24 to June 20, 2017. There will be 18 evening sessions of 3 x 45 minutes each. The course fee is €435 excl. course book. (min. number participants: 6).